“An international bestseller and epic adventure! A fierce and merciless demon has been unleashed on the world, spreading destruction and bloodshed in both the human and the elven realms. Northlander Jarl Mandred witnesses the ruthless attack on his men, and he seeks vengeance with the help of the elf queen, Emerelle. Despite Mandred’s barbaric human nature, the queen orchestrates an elfhunt joined by the two strongest warriors in Albenmark to pursue the beast. Farodin, the fiercest fighter in the land, and Nuramon, the healer, seize the opportunity to make history alongside Mandred in a life-defining series of battles waged in parallel universes. 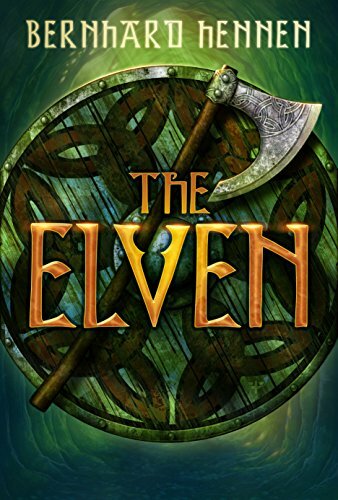 The Elven is an international bestseller and epic tale, bringing heroes together across the boundaries of their worlds to avenge past losses and influence fates yet to be decided."